One of my greatest and brightest burning passions in life is coffee. To me, the ultimate day begins with an early surf followed by a good hour or so sitting at a cafe, reading the newspaper (the actual newspaper, not my ipad) and enjoying a coffee or two. 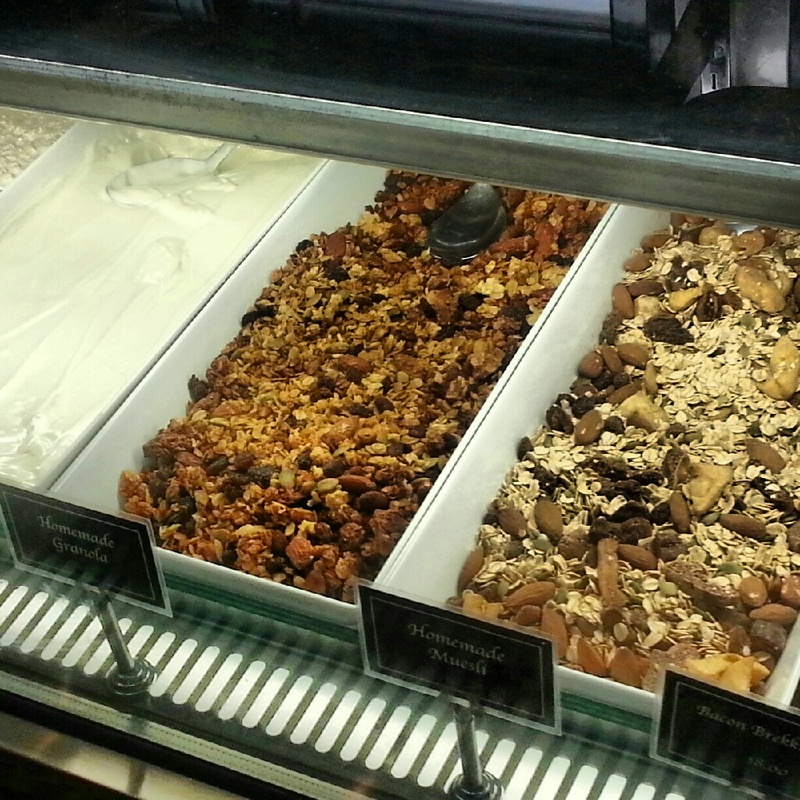 For a while now my cafe of choice has been Gusto, whether I am in Coogee, Bondi or Randwick, so I think it is only fair to give them the honour of being my first coffee review. 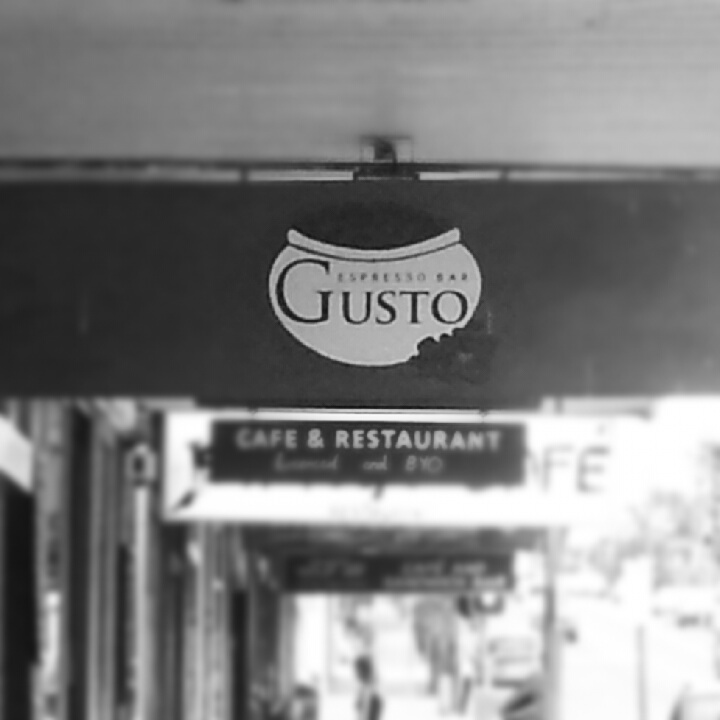 I first discovered Gusto around four years ago when a mate of mine lived in the apartment above the Gusto on Hall street in Bondi. Since then, the Gusto name has grown beyond belief with new cafes popping up all over the place. 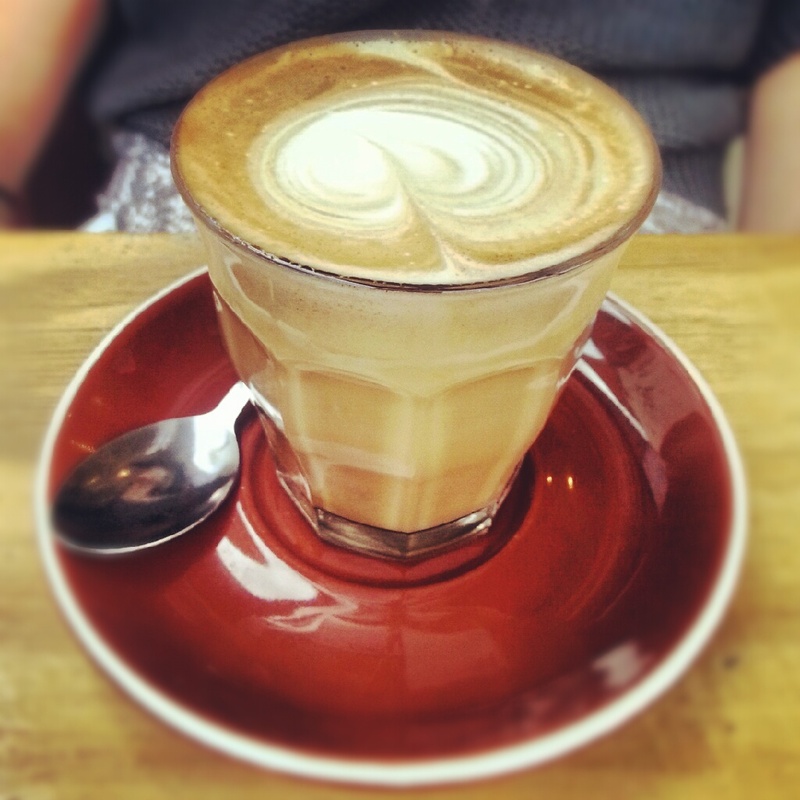 For me, a good coffee is not about the pretty pattern on the top, it is all about balance. It must be hot, but not too hot. It must be strong but not bitter and burnt and the milk must be creamy. Gusto places a great big tick in each of these boxes and when you take into consideration the friendly staff, the location and the chilled vibe, you have one of the Eastern Suburbs best cafe experiences. 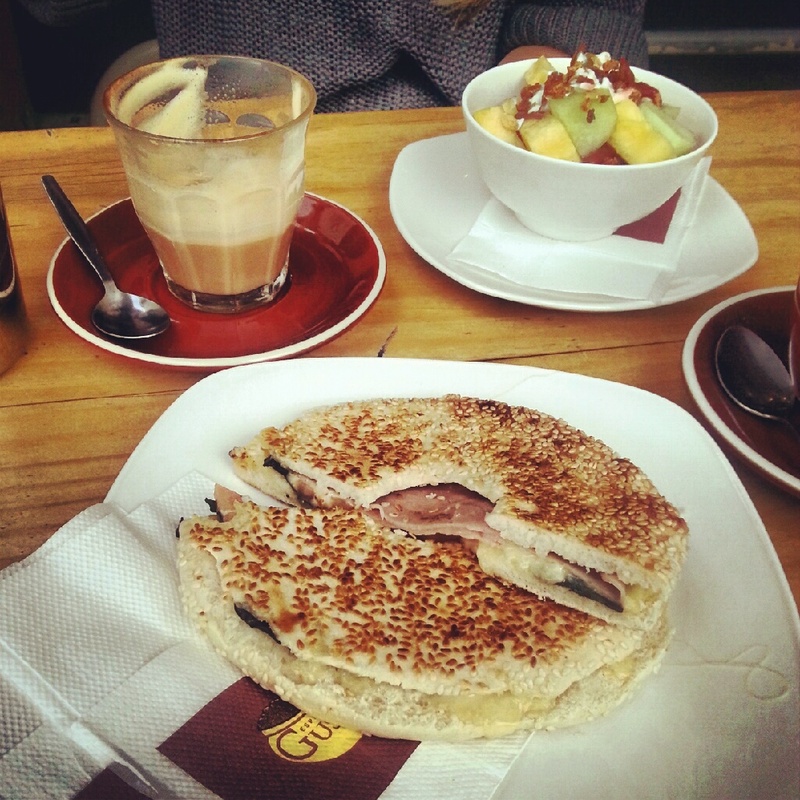 While a good cafe is mostly all about the quality of coffee, the food at Gusto also deserves a mention. 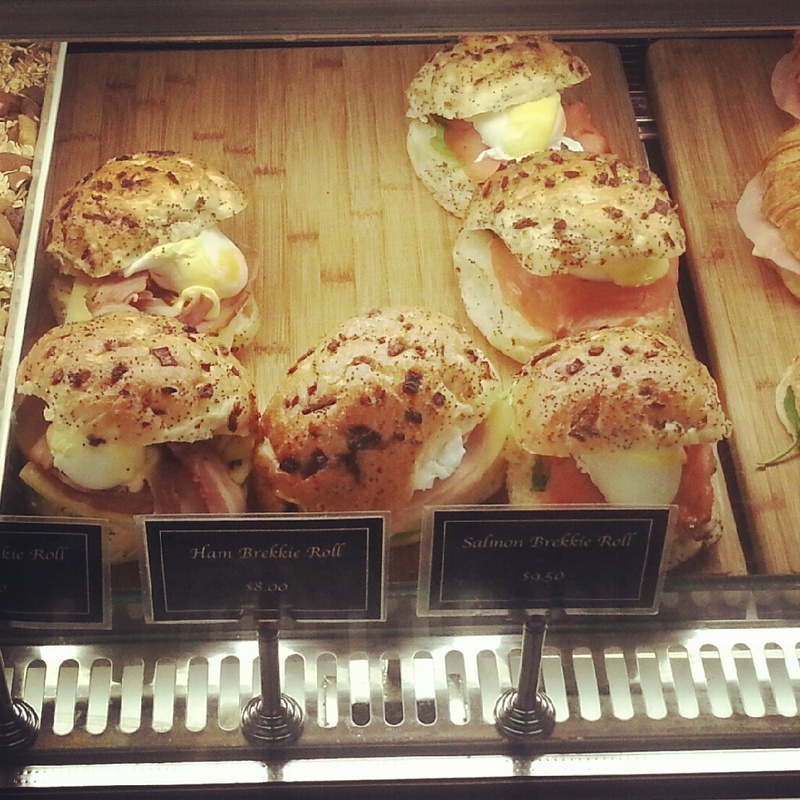 After a long morning in the water, my favourite snack is the Breaky Roll (seeded roll with smoked salmon, poached egg, rocket and hollandaise. While I’m munching into this gem, my girlfriend usually enjoys the granola with fruit, natural yoghurt and stewed rhubarb. Gusto also caters for the kids, serving the ever popular baby-cino topped with a marshmallow. There is not much to fault about Gusto but if I absolutely had to pick one thing, it would be the limited seating. This is through no fault of the management or staff; it is just the way many of the shop fronts in the Eastern Suburbs were constructed back in the day. So if you plan on getting a seat to take in the people watching, get there early or head down on a week day once everyone else has gone to work. I need a breaky roll. stat.